I don’t know about you, but I love a bit of confetti at a wedding! 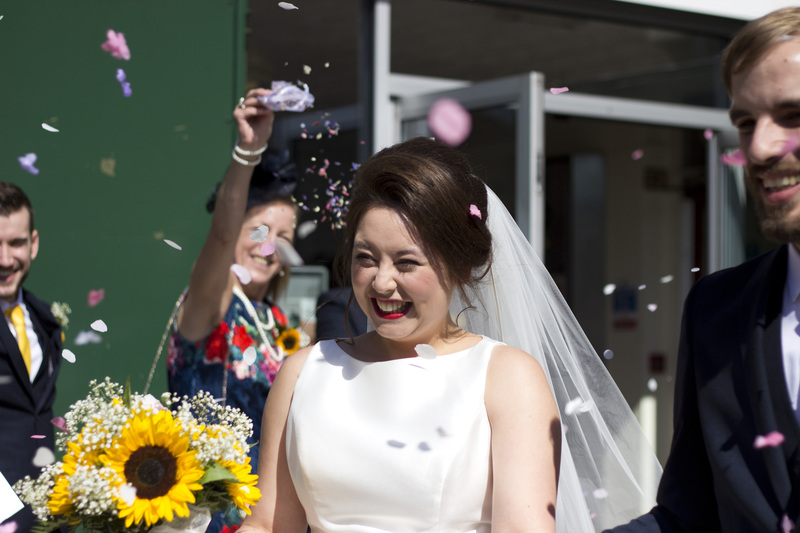 Confetti is great for so many reasons not only is it a fun and colourful way to end your wedding ceremony but it makes some brilliant photos! Whether it’s photos where you can barely see the happy couple through all the confetti, photos of funny faces as you accidentally swallow a handful, or your best man taking a running jump to cover you in as much of it as possible, confetti photos will always make you smile! Plus your friends and family will love the opportunity to be able to throw the biggest handfuls possible right in your face! You can never have too much confetti! There are so many options for confetti, you could fill baskets with it and everyone grabs a handful, have individual cones or bags, or if you’re looking for a bang go for a few confetti canons! Or if you’re having an autumn wedding, make the most of the season and grab a handful of leaves! If you’re looking for something with a more wintery feel, make sure you check out the snow confetti from Dollz confetti! Perfect for winter weddings! And confetti isn’t just for photos, take a look at these fab videos by Love Gets Sweeter and see how lovely confetti looks on film!